The UAE today is a hub for entrepreneurship, finance, islamic banking, arts and everything in between. It can get messy at times to understand and appreciate the importance of the emirates as a global power player and trendsetter, so it is only fair for us to quiz the very people who are setting the dynamics and charting the growth of the UAE across sectors and industries. One such visionaries is Dr. Sayd Farook. Who is Dr. Sayd Farook in a nutshell? Dr. Sayd Farook is an advisor to the Dubai Islamic Economy Development Center and the Executive Office of His Highness Sheikh Mohammed Bin Rashid Al Maktoum, Vice President and Prime Minister of the UAE and Ruler of Dubai. He is also the Vice Chairman and CEO of Middle East Global Advisors, a 22 year old research and events platform for the Middle East North Africa South and South East Asia region. Previous to this, he was Global Head Islamic Capital Markets for Thomson Reuters for five years where he lead and incubated the development of Thomson Reuters entire Islamic markets business. 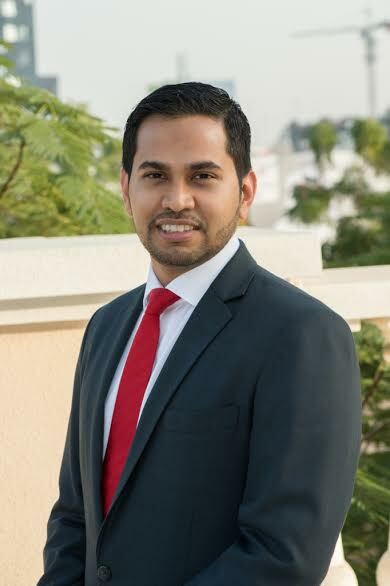 Dr. Farook holds a PhD in Financial economics and a first class honours in Business and Law from the University of Technology Sydney. How did you end up becoming passionate about entrepreneurship and the Islamic Economy? The ongoing challenges of the Islamic world – whether it’s the drift to extremism, instability, high levels of corruption – largely are a symptom of one key fundamental – the lack of an environment that enables economic opportunities for citizens. The large private sector organisations and governments of the regions we live in cannot keep up the population growth of young people that the Islamic world is producing. According to Pew Research Center study in 2011, more than 62% of the world’s Muslim population is under the age of 30 (i.e. falling squarely into the Millenial category) in contrast to just 40% in the United States, 43% in China and 51% globally. The populations of the Organisation for Islamic Cooperation (OIC) countries are growing at twice the rate of the global population. More than 100 million will need jobs by 2020. The availability of such a large and growing population is actually one of our greatest strengths, which the developed countries are not able to engineer. However, if we don’t provide enough economic opportunities, these populations will cause negative externalities such as those witnessed during the Arab Spring or now throughout the Islamic world. Having studied the dynamics of the Islamic markets for more than the past decade, it occurred to me that we need to create a ripple effect in Islamic societies sparked by role models focusing on indigenous innovation and value creation. The Islamic world needs more hope and inspiration for us to create our reality rather than relying on government or jobs. That’s why I feel so passionate that enterpreneurship focused on the Islamic economy has the potential to unlock the untapped energies of the Islamic world and give the youth the inspiration they need to create their own reality. What is the importance of Entrepreneurs in the region? It is clear that the government or large corporates will not be able to produce the employment opportunities that the region needs – the World Bank estimates that 100 million jobs need to be created by 2020. Hence, entrepreneurship is one of the most critical needs in the region. 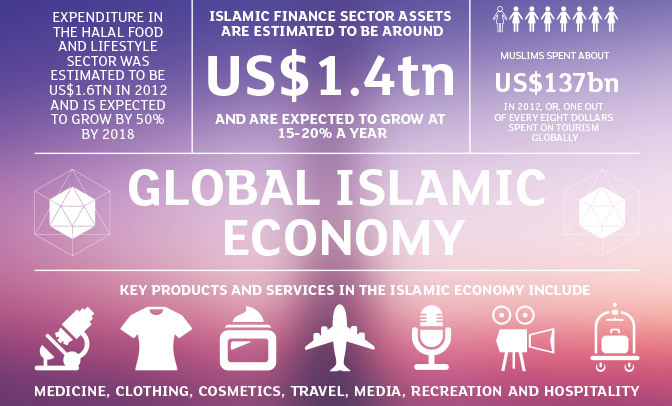 How significant is the worldwide growth of the Islamic Digital Economy. and digital advertising spend and is estimated to grow at 15% CAGR through 2020. Muslims represent an increasingly important consumer base with Muslim consumer value to the global digital economy estimated at $107B in 2014 and projected to grow at 17% CAGR to $277B in 2020. World-wide Muslims represent almost a quarter of the world’s population1 and ~5.8% of the 2014 global digital economy. So clearly there is a huge upside potential if you consider the growth fundamentals of the region’s fundamentals. What is Dubai’s role as a start-up hub and an aspiring capital of the Islamic economy? Dubai has already crafted itself as the leading hub in the MENA region for start up activity. It attracts enterpreneurs from all over the world, because of the fantastic eco-system it has created – ie. Lifestyle, access to markets, availability of qualified talent, support systems. What’s more important is the vision and energy of the leadership of Dubai which provides tremendous inspiration and positive vibes to those who want to establish a start-up. The ability to push hard and achieve the impossible is the single most important driver of success, even if you fail numerous times on the way. Dubai is now doing a lot more to support start ups and you see that in the tremendous work of the Dubai Silicon Oasis authority, who have established the Dubai Technology Enterpreneurship Center (DTEC). DTEC makes it very easy and cost effective for institutions to set up their companies in an eco-system that has all the necessities to take your start up to the next stage. What are the current initiatives that support entrepreneurs in Dubai and the broader Muslim world? There are several initiatives intended to support enterpreneurs in the Muslim world. INNOVATION 4 IMPACT Competition: The first initiative is the Innovation 4 Impact Competition and is focused on giving the entrepreneurs with mentoring and feedback opportunity from an expert panel, while at the same time the opportunity to pitch their product more than 2000 attendees, which we hope will give them visibility to raise their next round of funding. DUBAI TECHNOLOGY ENTERPRENEURSHIP CENTER (DTEC): Already discussed previously, the second initiative – DTEC, is focused on supporting enterpreneurs with an enabling ecosystem to accelerate their business growth. DUBAI SILICON OASIS FOUNDERS (DSOF) FUND: The DSOF Fund provides critical seed capital and more importantly the credibility of the Government of Dubai’s key entrepreneurship facilitator – the Dubai Silicon Oasis investing directly in the project. The combination of these initiatives provide all the infrastructure to support entrepreneurs in their bid to become successful companies in the future.